With Russian Innovation Fair in the recent past, tech specialists are abuzz over the latest military machinery in the country. But as its memory fades, technology enthusiasts around the world can continue to look with anticipation towards the newly projected Russian techno-city, Skolkovo, a small area on the outskirts of Moscow. While this project was originally announced in 2009, it was the target of recent criticism and praise when the Russian government claimed it would pour $4 billion in state funding into this project, one that is intended to foster the recently growing startup market. For reference, that number is more than the nominal GDP of over 42 countries worldwide. 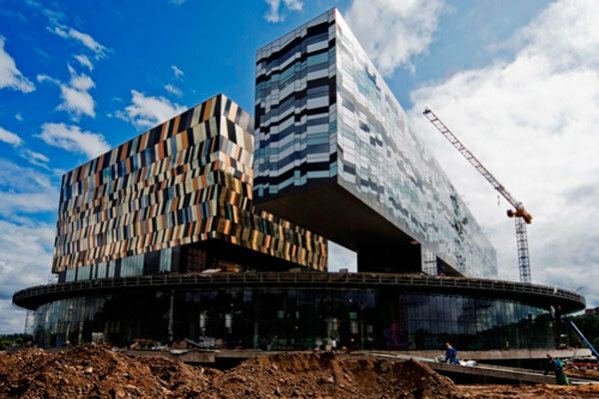 And this funding isn’t going to nothing, either: the finished project at Skolkovo is projected to house space for hundreds of startups, a business school, and up to 15,000 scientists, each working on a variety of different projects. First, for a former superpower that once dominated the tech industry in over half the world, it is a massive step taken by a country that has struggled in this field since the collapse of the Soviet Union. And with a grand amount of billionaires, as well as an Internet market that overshadows the rest of Europe, it adds on to a long list of attributes this country holds. But more importantly, Russian technology creeps into our lives each and every day. Data grabbing, voice and face recognition, phone interception, vehicle tracking – all of these different innovations originated in Russian labs and manufacturing facilities, and emerged well before any counterparts in the rest of the world. Now, with the construction of an innovation hub solely focused on the creation of these technological marvels, we can expect to see some incredible advances from the former rival of the United States. do joint ventures, projects maybe, sign treaties for space & ocean dev etc? ?